Konami code? Is this up down left right a b start ? So great to see that the app has been released! Congratulations Rej on all your hard work and getting it done. Bought my key with no issues! yes key and everything works fine, so no problem from this side. how does the "My Account" work? I ordered any paid. IN the payment it says I can manage my Keys at My Account. Indeed, I was told by my web guy that was all fixed but I just went through a test purchase myself and see got the exact same result as you. I'll see if it can be fixed, but I might just remove it all together. I'd rather not store anyone's personal information on my website and I can always be reached if ever you can't find your key in the future. Just to confirm, you were able to register your copy using the information in the email, right? Anyway, this software deserves praise also from the "open file" window with the little thumbnails preview of the designs. You have no idea about the time I wasted searching for "that design I made six months ago, maybe hexagonal... called "hexsomething minibarion qtz version X"... and which version of the dozen I've saved?". I do like the cutting approach, rendering, optimization and all. BUT THAT PREVIEW IS GOLD! Only thing I miss so far is to be able to label the tiers in the design window. i.e. to know which tier is a, b, etc. without clicking on the tier of the list. I'm used cut keeping GemCad open, and this "problem" is solved if I cut with the pdf of the design. So it's just a matter of habit, I guess. Anyway: great. I also like the option of introducing my own light environment for the renderings, but I still have to try it. And one last thing: the parameters for the materials of simulating the different gemstones are really well set. In my past renderings it took quite a few attempts to get something realistic I liked. Hi everyone, just joined up a few days ago but I've been following this board for a while now. What I'd like to discuss is establishing a minimum feature set. Part of the problem with making a new design app is you're obviously going up against GemCad/GemRay. Those represent YEARS of work so they're pretty feature-packed. To compete, you'd either have to work silently for years and pop up with a complete replacement, or work your way up to their feature set over time. You can guess that I've chosen the latter. My main goal is lowering the bar to entry, and to make the process more fun, more akin to actually faceting! This is achieved by a single app with a visual interface and immediate results. What I mean by this is you start cutting a facet, you see the result on your plan view as well as a raytraced output, even the cutting instructions. You change angle, depth, index or symmetry and you see how the cut would look before committing to it. You change the stone R.I. or colour and you see the final rendering change as you slide the value. You tweak tangent ratio, not by learning which angles work best for each design, but by visually seeing the result on the stone you'd be cutting. Hopefully the following paragraph has sparked some excitement within some of you, I know I'm pretty excited about it! I also want to make easier for people to share designs, straight from the app, maybe even directly to the Gemology Project (admins, interested? I just read the steps required to post a design here from GemCad ) Of course that raises questions about the "morality" of potentially a whole bunch of people flooding the place with designs that haven't been proof-cut but that's another discussion. Now I've only been faceting for a few months, and even less time with GemCad/Ray. I've learned both apps well enough to use them but I'd like to put a call out to the pros around here, or at least the people who work with GemCad/Ray a LOT. (paging Dr Ahkavan, Mr Voltolini, Gem Ranger who I believe lives only a few KM from me, and anyone else I might have missed) I'd like to call on your experience with the software to narrow it down to the steps you ALWAYS take when doing new designs. If you had to cut out 75% of what those apps do, what would remain? Hopefully the question isn't too open-ended and you see where I'm going with this. I'm not ready for an open beta yet but if any of the people mentioned above would like to see what I've got and try it, send me a PM. I would have bugged you privately myself but: new user = can't send PMs . At the very least you can then vouch for me to prove I'm not lying, without me having to reveal my whole deck just yet. I don't want to exclude anyone either. I'd appreciate any input on the subject. Looking forward to your feedback. I have tried the software again after being distracted with other projects. I have a lot of my files on the cloud, since I have lost some hard drives. At least I do not loose the files. I find it hard to get to my cloud files. I can navigate to my files on the C drive, but it has trouble finding other cloud based files. I am using PC, and I am currently using one drive, but it coyuld also be others. Any chance of getting to these files? Im using a mac so it might not work the same but I have an alias link to my cloud drive on the desktop so I can navigate to the desktop inside of the app and then find the way into the cloud drive. I have two computers that I design gems from, so I like keeping them synced on the cloud. I tried to make the default design gem cut studio folder in a cloud drive but the software won't let me do that. But to go find ones I already uploaded, no problem. I was recently trying to enter a cutting diagram and wanted to control the cutting order. 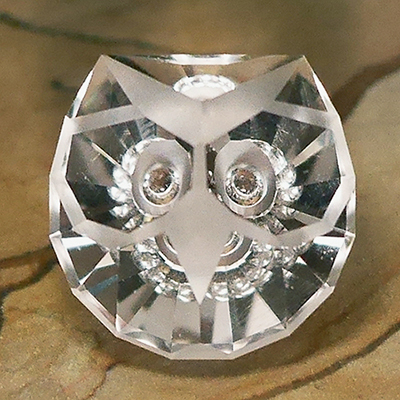 Basically I wanted to cut 4 facets to establish the center. Then I would cut the rest of the pavilion facets. It is a rectangle, so the P1 facets are at off indexes. I was able to cut the first 4 facets, but when I added more, it kept adding it to the same row. in an order that I did not want. Is there a way to force it to let me control where facets at the same angle are added? I tried to identify the first 4 as a preform, but other indexes were still added in an order that I cannot control.